Having reported our dissatisfaction last month following the Scottish Government's publication of a draft Bill and its intention to proceed with the integration of BTP Scotland despite the publication of the consultation results, it is reassuring to report that the Scottish Justice Committee has also now invited evidence from the public. It has set out specific areas it would like people to comment on and the closing date for this process is 31 January. BTP Federation will be submitting evidence in a similar vein to our response to the consultation document. We hope that many others - yourselves included - will provide evidence to the Justice Select Committee opposing full integration. You can read the draft enabling Bill and related materials here. Once you have done so, I would then encourage anyone who does not support the Bill to submit evidence as to why the Scottish Parliament should not accept it in its current form. In the opinion of the BTP Federation the draft Bill is poorly written. It is very disappointing that the Bill, if enacted will, remove BTP from ever being permitted to police on the railway in Scotland. This clearly shows the intentions and endorses our reservations about the Scottish Governments ambitions. It is not (as described by some politicians) "just about policing" and the suggested "accountability to the Scottish public". It is important that we all support our colleagues in Scotland in this journey and submit as many responses to the Justice Select Committee as possible. Is this a call for help? YES IT IS! Let's all help where we can. The Demand review continues, paying particular attention to the Police Sergeants (PS) Roster and the OSU Roster. We have raised our concerns regarding shift Sergeants working separate rosters and not having responsibility for one particular shift, but to no avail. I believe yet again that the BTP are favouring cost savings over value. If the force keeps focusing on cost, inevitably they will lose sight of the value. In my personal opinion (and I appreciate some who know me would say I'm biased) I believe the PS role to be the most important rank in policing. Why? Because, they are the linchpin within the organisation. 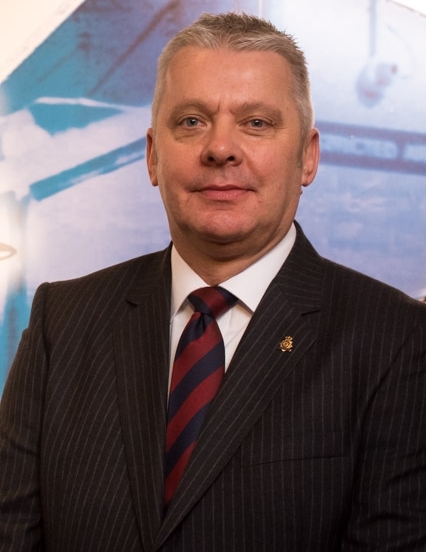 They know what is happening operationally on the ground, what staffing issues there are on certain shifts and in their Police stations, they are the safety net for all decisions being made from the Chief Constable down to Police Inspector rank and they possess a font of knowledge, which younger officers rely on for guidance and advice. More often than not they are responsible for the delivery of key decisions (right or wrong), manage the outcome of those decisions (successful or otherwise) and they face the backlash for any failings from both management and their teams. Sergeants manage people, processes, estates, complaints, investigations, welfare, and many other things. This used to be the role of a good shift Police Inspector; however that was altered when they were removed and placed into detached departments and further deployed as Duty Officers. Most Police Inspectors, whether they agree or not, spend majority of their time behind closed doors in an office. The outcome has been that the shift Sergeant has taken on the added responsibility. What happens if you now uncouple the Police Sergeant from the shift? Who will fill that void? I have grave concerns that if Sergeants are remote from the shift, frontline officers will be adversely affected as a consequence. The National 24/7, the London night tube 24/7 and the National 19-hour roster should now be published on DMS so hopefully you can all embark in planning your time off with family and friends. We are still in dispute with the 3-week variable roster, which is non-compliant as per the Force Roster Agreement and Police Regulations. The Demand Review conducted a staff survey which was inconclusive. The negotiations therefore continue with this roster and there is a clear failure to agree. The DCC is to address the Management Board of the Federation on 2 February regarding this matter, to establish if there is a way forward from a Federation perspective. That said, it must be recognised that if officers wish to work a non-compliant roster then the Federation cannot prevent officers from doing so; we can only advise on the fact it is non- compliant. The Force is now suggesting that they have legal advice that states it is not unlawful to roster more than 6 consecutive days. Despite repeated requests the Federation has not had sight of the advice, and it is simply that; advice. It is therefore not a ruling or a change to the Regulations and the current roster agreement. This review has gone quiet since I responded to what I believed to be disparaging observations about CID officers just prior to Christmas. Putting that to one side I sincerely thought that the Crime Review was adopting a constructive approach towards rostering when they included officers from across the Force to present their own proposals. I did express some concerns at the initial meetings, however I acknowledged that I was possibly being over-apprehensive and not giving the process due consideration. Regrettably my reservations are now coming to roost. There is evidence that there have been changes to the proposals, noticeably to the detriment of CID officers concerned. Most discouraging is the lack of consultation over these changes and the altered implementation date of April, which will result in all CID officers working a roster that has not been through a consultation process. At the last meeting I attended with the review team it was inferred that there would be an implementation date of April for B Division and October for C/D Division. I have now been invited to a meeting with the review team on 31 January 2017 when I will be highlighting our disappointment at how, at the turn of the year, we unexpectedly have a new roster and a new implementation date without any due consideration to the consultation process. On 31 January, the Executive members of the Federation will attend a meeting to discuss the new proposed flexible working policy. On the back of some legal advice received we are intending to submit that the policy is unlawful and unacceptable in its present format. We will report back on the outcome. We still wait the implementation of the new Sickness/Absence Policy with the new ill health procedure included. This policy should now have been authorised by the Force Executive Board (FEB)/Chief Officer Group but this is where it stops. We are encouraging the Force to publish this policy sooner rather than later. Additionally, the new biometric vetting policy should be coming into operation any time now. This allows BTP to come in line with Home Office Forces and Police Regulations regarding elimination DNA from crime scenes. At your first aid training you will be invited to provide a DNA sample (mouth swab) to be held on a national database called the Central Elimination Database (CED). This is an invite only and if there is a genuine reason for not providing a sample then you cannot be forced. Nonetheless, unless you have a valid and justified reason for refusing you maybe in contravention of Police Regulations. We're awaiting the report of the Home Office Infrastructure Review regarding the potential merging of three Forces, BTP, CNC and MDP. This is due to be published before the month is out and the suggestion (informally) is that BTP may not be included in the original proposals. But never say never, it may still happen. Finally, the Federation is now planning for their annual conference. This commences with a Management Board meeting on 2 February in London. The conference this year will be in Cardiff and we are optimistic that we will have a full attendance from Government Ministers, Senior Police officers, the BTPA Chair and all newly elected delegates. It is understandably likely to be a very busy conference and hopefully we will be able to capture some good news stories to share with you all.